We live in a time where there aren't many unique products that exist. Almost everything has already been done, and no one really needs to buy anything at all. Customers have endless choices when it comes to products and services, and they are bombarded with hundreds of messages about them every day. Any of your competitors can copy your products and services. The one thing they can’t take from you, however, is your brand. If someone is looking to buy a shirt, what makes them choose Free People or Wildfox Couture? Why would someone spend $200 on a shirt when a $50 one is just as good? People choose brands for emotional reasons. Perhaps they like what choosing a particular brand says about them, or because it leads them somewhere they want to go.Maybe they choose it becuase they support a cause that’s important to them, or perhaps they feel that choosing the brand will make them look smart or cool. Simply put, people choose a particular brand (whether a product or service) because of the lifestyle that surrounds it. The reason why we buy is almost always to fulfill an emotional need. A lot of people dismiss branding as irrelevant, or just a 'bunch of fluff.' But in reality there is both science and psychology that support the importance of it. Your brand is actually the foundation for success in your business. This guide will help you create a plan for standing out in your target market, even if you don't have a budget to hire a professional right now. We’ve been working with photographers and creative small business owners to be more successful in their businesses for more than five years now: everything from creating websites and marketing campaigns, to putting together a business plan, laying out their pricing structure and even improving their photography skills. What we were finding, however, that was no matter what area someone needed help in, the solution kept going back to their brand. "Your brand is the foundation for everything you do in your business. The style of images that you shoot, your pricing, your marketing and whether or not you are able to attract the kind of clients who value your work." Oftentimes when people seek help in their business, they think what’s missing is a strategy or a design, or even a skill. For example, when people would contact us about creating a website for them, it was usually because they weren't getting results from their current site. Either they weren’t getting enough traffic to generate leads, or business was slow. And the majority of them felt their websites had never really worked for them at all. We found the same types of struggles when working with photographers on their marketing and in other areas of their businesses. In some cases they would be implementing all the right strategies, but were still finding it difficult to get the right clients. What we realized in so many of these cases was that we couldn’t really help them get where they wanted to be without first helping them with their brand. It was a roadblock that we kept running into. Without a brand story you are just another business that gets lost in the noise of a crowded marketplace. A pretty website or marketing campaign will be just a pretty design with no personality of its own. If you cannot define not only what you're about but also why what you do should matter to your target client, then you will continually struggle to stand out and attract customers. A brand story is very important to what you do, and is much more than just an identity. We started the Seniors Ignite organization when we didn’t have the funds available to go through the entire branding process, or even to have a logo created. The first thing we did was put together a short manifesto that conveyed what we were about (our story). 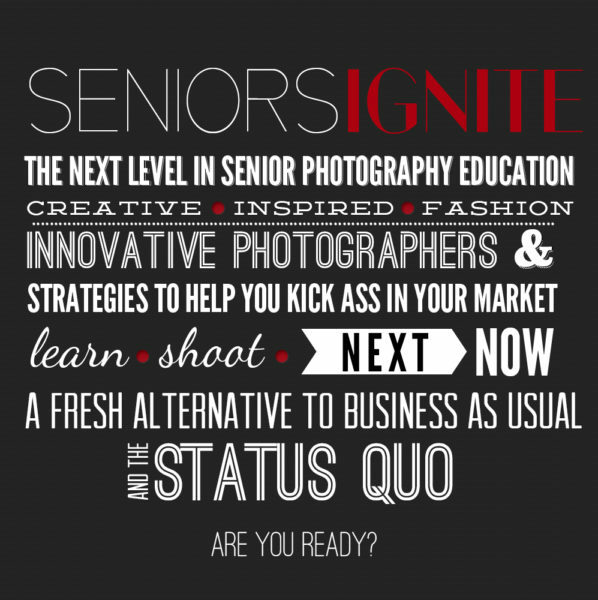 We created a graphic with this manifesto, and used a simple font for the Seniors Ignite name as our logo. The look of our logo was... well, let's just say that the font and design of that first logo didn't really connect to our story (oh let's get real, it was downright ugly). But it was the story itself that people connected with, not the logo. In fact, we wouldn’t get a complete brand identity until 18 months after starting Seniors Ignite. What we learned from this was that our ability to grow was unaffected; having a story that connected us to our target audience was what helped us get off the ground and build the business. If you’re just starting out, or if you simply don’t have the budget for a professional logo, don’t let that stop you. Start with your story. That’s far more effective, and will have a greater impact on your success, than going cheap on your brand. Because whatever you do, don’t do that: wait until you can afford to do it right. And with your story in place that connects with your target client, that will happen a lot sooner. 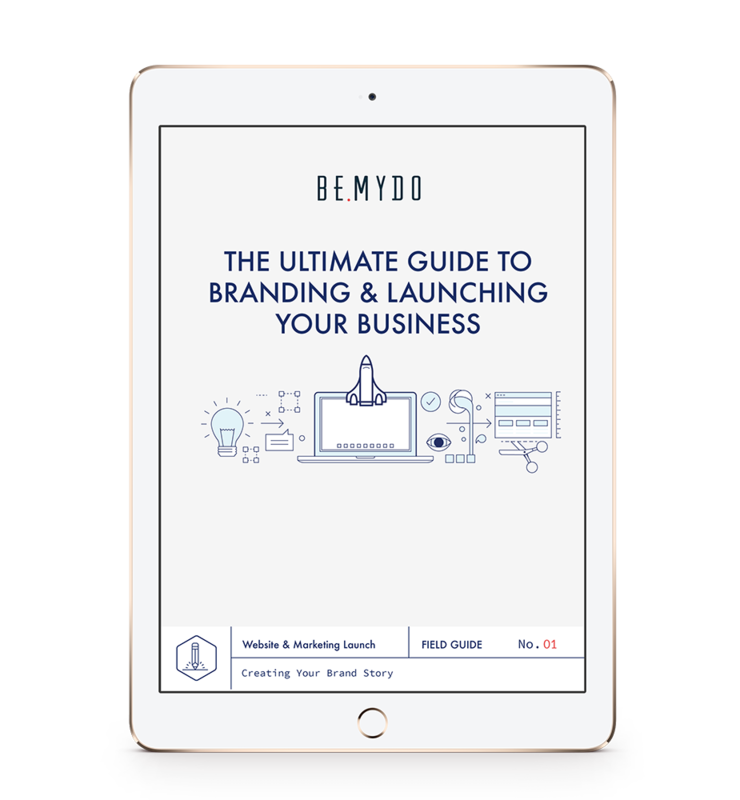 We’ve broken it down to the essentials for you, and created an easy-to-implement framework for creating a brand and defining what makes your business unique. We've gathered strategies from successful brands, experts and businesses to show you what works, and how you can apply that to your own business. What a brand is, and why it’s vital to your business success. 6 key elements that make up your brand story or identity and how to use them to create differentiate your brand. Creating a visual identity that conveys your brand personality and story.